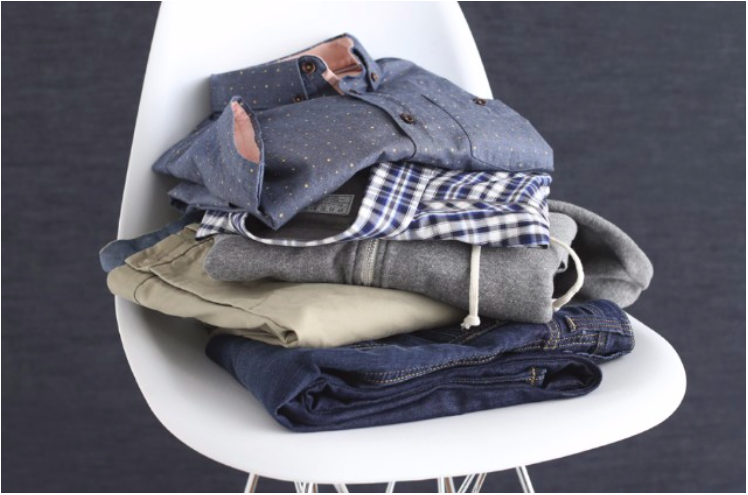 I am thrilled to announce that there is now a Stitch Fix Men option of clothes styling! This is HUGE! I am a big proponent of using Stitch Fix outfits to supplement your wardrobe (see all of my Stitch Fix reviews) and am thrilled to tell you all of the ins and outs of Stitch Fix for guys. 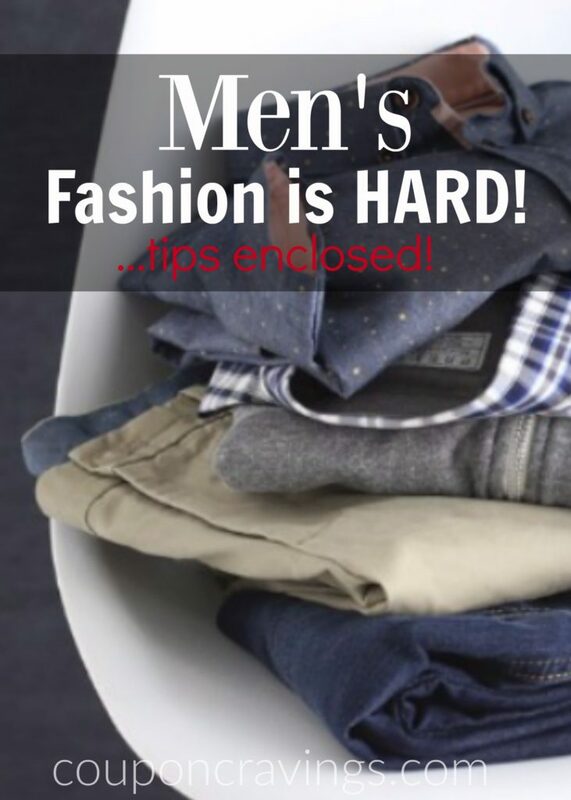 In this post I’ll be showing you the good, the bad and the ugly – everything you want to know about Stitch Fix for men. All of us want the men in our lives to look handsome, right? And, of course I wouldn’t come to you without a Stitch Fix promo code right? Head here to sign up the man in your life that needs some stylin’. 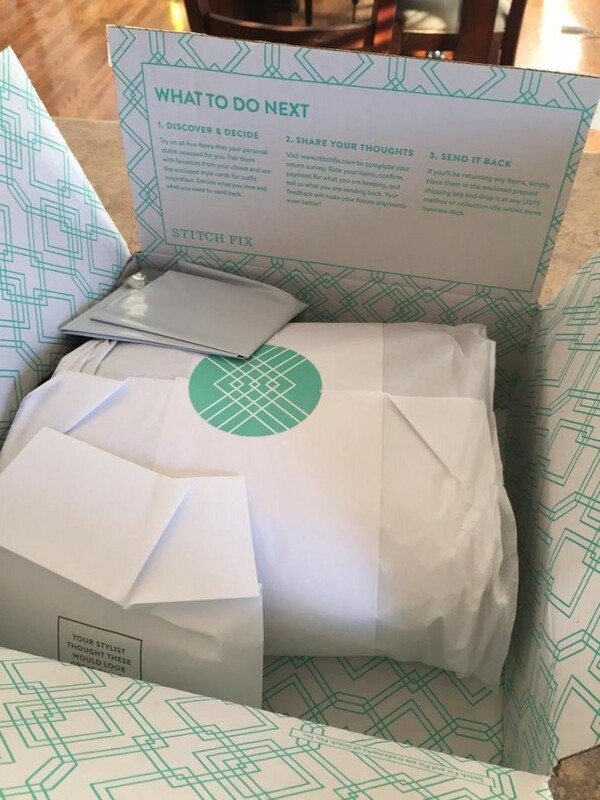 Want to know all about how Stitch Fix works? I’m glad you’re here. This Stitch Fix Men review goes into everything about the Stitch Fix Company that you want to know – and I’ll spend some time now doing a bit of a Q&A because sometimes that’s just easiest. If you play your cards right, the hardest part will be deciding what to keep and what to send back! What I mean by this is when you sign up and fill out your free profile (you can sign up for free here) you’ll give as much information as you can. Then, the Stitch Fix stylists will know the best items to send you. It’s really slick. If you decide to schedule your first fix, you’ll pay a 100% refundable $20 styling fee. This goes toward ANY ITEM YOU KEEP. If you don’t find anything to keep, then you’ll be out $20, so make sure you fill out your profile as complete as you can. I also find that as the stylists get to know you better they nail every box that they send you. What makes the Men’s version of Stitch Fix different than the Women’s Stitch Fix? Besides the fact that in your Stitch Fix Men’s box you’ll get men’s clothing and in the women’s Stitch Fix box you’ll have ladies clothes, you might find that in the men’s boxes you’ll see less accessories than you might in the women’s box. In the women’s boxes you’ll get purses, shoes often. Whereas in the men’s fixes you’ll find most of the time just clothes. How much is the Style Fix? What I really love about Stitch Fix is that you do not have to subscribe to a box. There is very little commitment when it comes to Stitch Fix. You get to decide when you want to receive a box. Are you honest in your Stitch Fix Reviews? I am 100% honest in my Stitch Fix reviews. I am such a fan of Stitch Fix, but I do believe that you have to have the $20 styling fee in your budget as well as about $20 more to purchase atleast one item. Hi there! We are still in search of great clothes to wear out to evening dinners in the midwest this spring and summer. Casual/dressier but not formal of course. Does each guy have a certain Stitch Fix Mens personal stylist? You will not likely get the same stylist every time. I love that about Stitch Fix. I imagine though that there is a way that a stylist can sign up to be a men’s personal stylist o for you to request that you have a designated personal stylist for men? Have I mentioned that you can also add a Pinterest profile for your stylist to check out? This is yet another great way for your Stitch Fix stylist to see the style that you like. Is there a certain mens stylist for men that only does mens fix clothing? I don’t think so (although I can’t be 100% sure, right) I think all of the stylists do both mens clothing and women’s clothes. What a fun job this would be, right? Is Mens Stitch Fix worth the price? Can my wife/husband and I share the same Stitch Fix login? Your entire family can be on the same login – but if you have separate email addresses, you can use your referral link and get $25 worth of free clothes for you when he schedules his first fix, so do that if you can! What are the most common Stitch Fix Men’s brands / things? 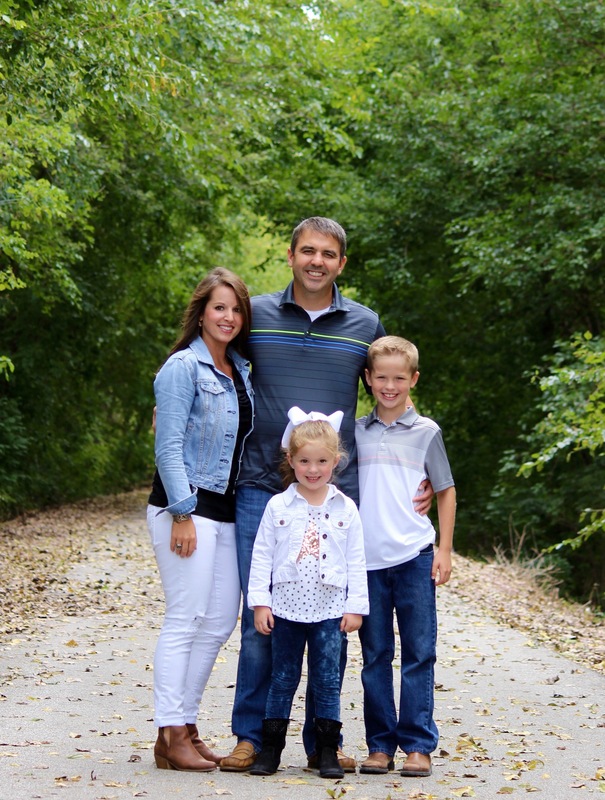 We love, love, love the Mavi brand of men’s pants that Stitch Fix sends. I also love it that they’ll send tops that have SPF and are cooling tops. That is really helpful. Is there a Stitch Fix app? 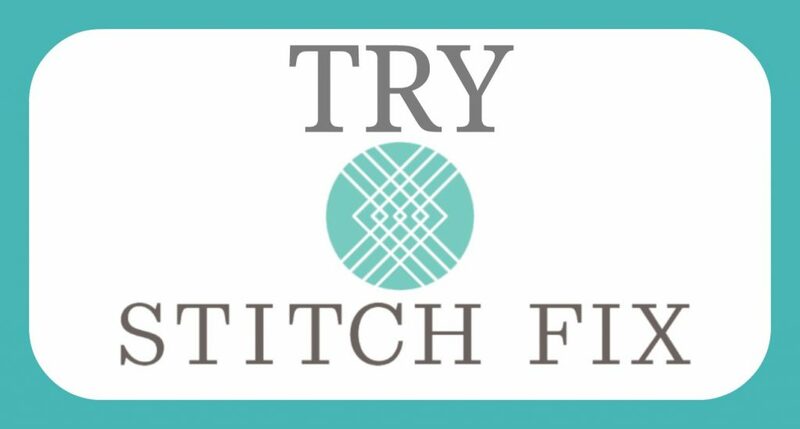 There is a Stitch Fix app! Use is to schedule a fix, checkout your fix, leave notes, whatever. Stitch Fix competitors include Le Tote and Bombfell. Stitch Fix is the only one of these options that is not based on subscription. Listen, when you sign up there is a $20 Stitch Fix fee – BUT the $20 is used as a credit to your first fix. And, shipping is free on each Stitch Clothing Co. subscription purchase. And, a lot of times there is an item or two that is as low as $30-$50, making an item possibly only $10-$30! This is a designer quality item for a fraction of the price picked for the body type and styling fit that you choose – seriously, an amazing treat! You may have heard me talk about my Stitch Fix love. I adore the fact that there is a Stitch Fix personal shopper that is looking out for what looks best on me. They’re literally keeping in mind my body shape, color preferences and fashion preferences while they’re packing my box. And then they even write a note and do some outfit pairing images on notecards to show me how I can style each item. You can try it here, and like I mentioned, the $20 styling “fee” is essentially used as a promo code for Stitch Fix as when you buy something that month your $20 is used as a clothing credit. Have I talked you in to giving Stitch Fix a shot? Set up a profile here!